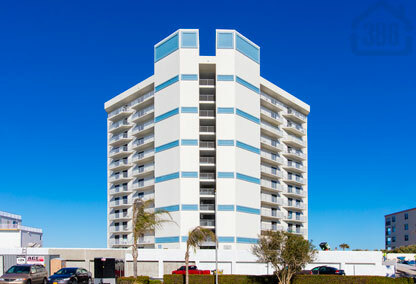 Escape from it all at your new oceanfront condo in Seascape Towers of New Smyrna Beach. Choose from 1, 2, or 3 bedroom options that offer luxurious living on the beach with the security and privacy a condominium home affords. Each condo in Seascape Towers features spacious living areas, washers and dryers in each unit, and private balconies with views that will leave you speechless. Seascape Towers offers residents a heated pool and spa, tennis and shuffleboard courts, private storage and a secured parking garage for you comfort and security. There is much to be said for life on the “no-drive” section of New Smyrna Beach and Seascape Towers is one of the best options available to make this dream, a reality. Call us for availabilities here or browse the selections below.